Beets are full of nutritional benefits and we want to include them in our diet as much as we can. 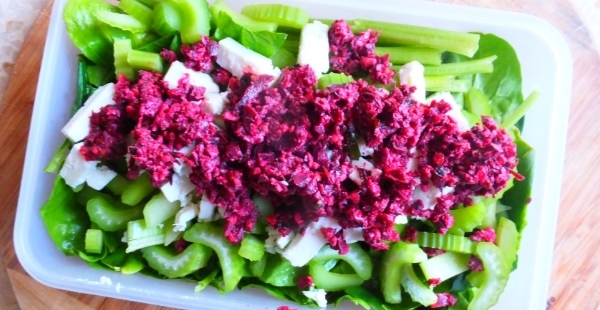 This recipe is a great idea by which you can incorporate beetroots in a fun way. I found this recipe surprisingly appetizing and greatly suggest it! Enjoy as a snack on some healthy bread or even on salads. 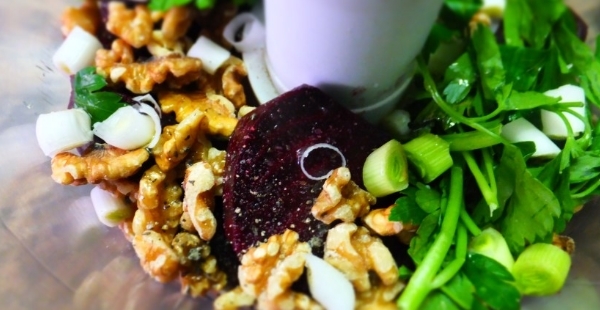 If you have missed my note about beetroots click here. Simply blend all ingredients in food processor for about 3 minutes, scraping the sides from time to time. *To cook beetroots put in foil and place in oven dish. Add water at the base of the dish and bake in oven at high heat for about an hour. Fork should go through easily.